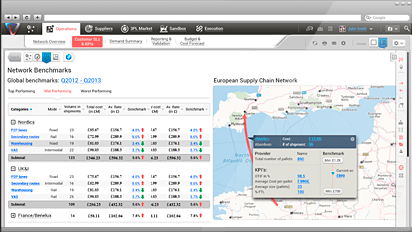 Businesses move at an increasing pace and staying on top of the supply chain agenda is becoming increasingly difficult. 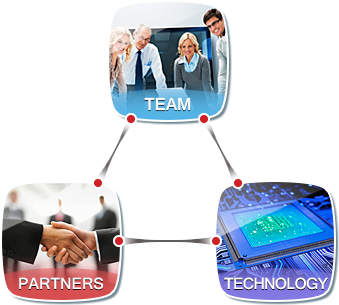 Diverse backgrounds ranging from deep expertise in supply chain operations to advancements of modern information technologies. 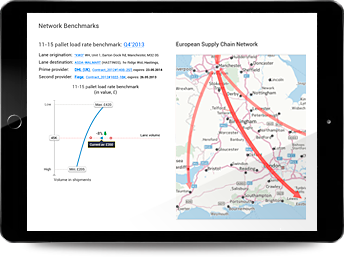 Our mission is to improve the efficiency / sustainability of global supply chains through the leverage of "leading edge" software technology. Companies constantly grapple with the challenges of merging data from the different in-house and 3rd party systems, especially not on an ongoing basis. So the platform uses a heuristic cleansing data converter that will consolidate your data from a variety of sources in a dedicated DataShard. 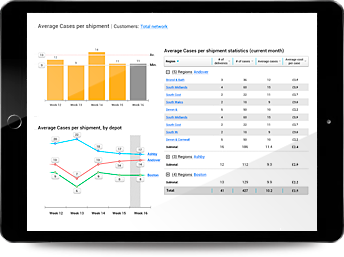 The platform's toolkit generates retrospective insights into the clients' supply chain operations and uses action orientated analytical engines with predictive functionality to support effective decision making in order to pre-empt potential problems and inefficiencies. 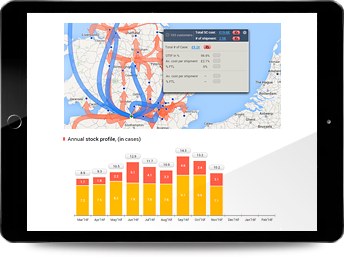 Increase effectiveness of your management teams through convenient data visualisation and greater collaboration. 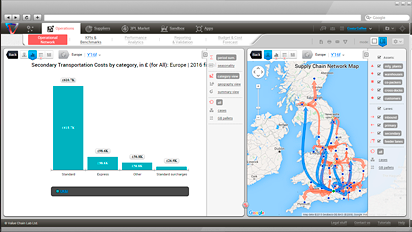 The platform's interface visualises your supply chain's operational profile through a set of maps, charts and reports that could be collaboratively interrogated through convenience of a web browser. 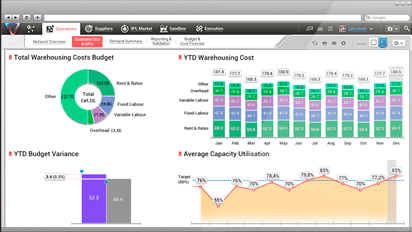 The up-to-date performance views are complemented by a variety of interactive dashboards and alerts.